A song-filled new Air Bud ‘Pup Star’ movie that introduces four new pups to the family, who stow away on Santa’s sleigh and find themselves trapped at the North Pole, trying to save the world’s Christmas spirit. KIDS FIRST! Film Critic Abigail Zoe L. comments, “The movie Puppy Star Christmas is a fun and entertaining holiday family film. It is full of upbeat music, dancing, humor and has a wonderful timeless message. I absolutely loved every second of this movie and would have stayed to watch it a second time right then and there!” Nathalia J. adds, “This film delivers a very special message. It’s not about the gifts; it is about being with family. The pups show that meaning in this film. This touching movie will have you singing Christmas songs on your way to school, work and perhaps your Christmas recital.” Jolleen M. adds, “This is a perfect film for everyone in the family. It not only has a good message, but it also is hilarious and will put you right into the Christmas spirit.” Damon F. wraps it up with, “I am not usually a fan of musicals, but this movie is better than some that I’ve seen. I really like how the dogs are animated in this movie. It really looks as if they are actually talking and dancing. That makes the movie as entertaining as it is.” See their full reviews and cast interviews below. 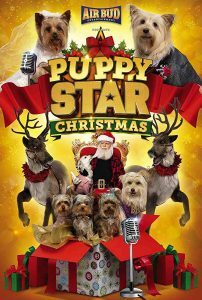 The movie Puppy Star Christmas is a fun and entertaining holiday family film. It is full of upbeat music, dancing, humor and has a wonderful timeless message. I absolutely loved every second of this movie and would have stayed to watch it a second time right then and there! This Pup Star story picks up when Tiny (Kaitlyn Maher) and P.U.P. (Mackenzie Sol) get married and have a very adorable litter of puppies that includes Brody, Rosie, Charlie and Cindy. These four pups are always getting into trouble. Thinking they are on Santa Claus’ “naughty list” for eating the family’s turkey and pumpkin pie, they head to the North pole with the hope of talking to Santa to get back onto his “nice” list. While there, they uncover Bark, Kano, Roland and Julio’s scheme to sabotage Pup Star and control the Christmas spirit. There is a wonderful heartfelt twist at the end with some of the characters that I won’t give away. My favorite character is the ever funny Roland, played by Jed Rees, who is always getting into trouble. Throughout the movie he continually becomes more and more addicted to candy canes. After kidnapping Santa he also begins to look like Santa Claus. The music, songs and singing voices of Kaitlyn Maher and Mackenzie Sol are pup-tastic and will melt your heart. Listening to the music made me feel as if I wanted to jump up from my seat, start dancing and sing along. The special effects include talking animals and dancing reindeers that look amazingly real. The heartfelt message of this Christmas story is about the importance of spending time with family, being grateful not greedy and second chances. This joyous fun family film is perfect for ages 3 to 18, as well as adults because of its universal and timeless messages. It will definitely put us all in the holiday spirit and I give it 5 out of 5 Puppy Stars. It’s available on Netflix November 20, 2018 so look for it. “It is Christmas in the heart, that puts Christmas in the air!” once said W.T Ellis. Jingle bells, Jingle bells, Jingle all the way. Yup, it’s Christmas time – presents, cookies, family and vacation time. This astonishing, touching, intriguing, heart-warming, well-intentioned and adorable movie is directed by Robert Vince and written by Pier Rae and Robert Vince. This film follows Tiny and P.U.P whose four new pups take a trip into the dark night sky with a special guest named Santa Claus. Trouble comes with they find themselves with the evil dog Bark and trapped at the North Pole. The pups get saved, but you’ll have to see the movie to know how. This song-filled new Air Bud “Pup Star” movie will have you enjoying the Christmas spirit. The lead characters in this film are Tiny (voiced by Kaitlyn Maher), P.U.P (voiced by Mackenzie Sol), Lou (Mackenzie Moss), Santa Claus (Richard Riehle), Rosie (voiced by Vivienne Rutherford) and complemented by many more. My absolute favorite part of this film, without giving anything away, is when the Christmas spirit is saved. I love how the four pups set on a quest to find Santa Claus and recover the true meaning of Christmas with the help of their family. I think this part of the film will charm many because of the huge heart the little pups have! This film delivers a very special message. It’s not about the gifts; it is about being with family. The pups show that meaning in this film. This touching movie will have you singing Christmas songs on your way to school, work and perhaps your Christmas recital. I give this film 5 out of 5 stars and recommend it for ages 7 to 14, as well as adults. This film will release exclusively on NETFLIX on November 20, 2018. Make sure to check it out! This is a perfect film for everyone in the family. It not only has a good message, but it also is hilarious and will put you right into the Christmas spirit. In the film, Tiny and P.U.P. get married and shortly after, they have four pups named Charlie, Rosie, Cindy and Brody. Tiny and P.U.P are busy and aren’t able to spend much time with their new pups. The pups become a little rebellious and decide it is a good idea to sneak onto Santa’s sleigh when he visits their parents’ show. This causes them to get stuck at the North Pole and leaves everyone worried. Meanwhile, they don’t know that the real Santa has been captured and replaced by their old enemy who wants to destroy Christmas. Kaitlyn Maher, Mackenzie Moss and Mackenzie Sol are back again for Pup Star’s fourth film! They excel in showing the pups’ emotions with their voice acting, as always. We also have some new voice actors for the puppies – Dillon Fontana, Vivienne Rutherford, Chloe Coleman and Oakley Bull. They all sound sassy and super adorable! They have the perfect voices for the cute pups. Since Tiny, P.U.P. and the pups have to go on stage a lot, they wear many different outfits. All of their outfits are very stylish and unique! I wish they sold costumes like those so I could get them for my dog. I love how the costumes match each puppy’s unique characteristics. Even though they all look very similar, it helps to have them in different outfits so you know who is who. The animation of the dogs is amazing. It matches well with the voice of the actors. There are also scenes where the dogs are animated to dance. That is hilarious. They have a lot of talent. My favorite scene was the one after Tiny and P.U.P. said their vows. The people and the dogs got up and started dancing. The dogs go crazy with their moves. I was really impressed. The message of this film is all about the meaning of the true Christmas spirit. Some people believe that Christmas is only about getting gifts. People become greedy and only like Christmas for the presents. This film teaches that Christmas is a time of giving, sharing and getting along with others. It is about spending time and reconnecting with your family. Even though this is message is promoted in other Christmas films, it is still an important moral that some people don’t seem to understand. This is the fourth film in the Pup Stars series and definitely lives up to the other ones. I give this film 4 out of 5 stars and recommend it for ages 3 to 18. If you haven’t checked out the first three films, be sure to check those out as well as this one! Puppy Star Christmas comes out on Netflix on November 20, 2018. Look for it! I am not usually a fan of musicals, but this movie is better than some that I’ve seen. I really like how the dogs are animated in this movie. It really looks as if they are actually talking and dancing. That makes the movie as entertaining as it is. Puppy Star Christmas is a Christmas themed sequel to Pup Star 2 that follows the Pup Star company making a Christmas special right after Tiny has puppies. The movie follows the pup’s parents getting ready for Christmas. It also focuses on the pups as they carry out some crazy ideas and plans that sometimes get them into trouble. For example, the pups decide to go to the North Pole to meet Santa, but while trying to do that, some evil dogs are trying to take over Christmas! Tiny and the Pup Star staff are working on the Christmas special while searching for the missing pups. The four new members to the Pup Star family are Brody (Dillon Fontana), an adventurous little pup that thinks of something fun to do and his sisters usually follow. Rosie (Vivienne Rutherford) is the pup who always thinks of herself as the star of everything. Cindy (Oakley Bull) is the pup who knows when something will go wrong, but none of her siblings ever listen to her. Last is Charlie (Chloe Coleman), the sarcastic one, who has some of the best lines. My favorite scene in this movie is when the elves sing “The Worst Christmas Ever,” while the villains think they are singing the same thing as they are – “The Best Christmas Ever.” Another good scene is when the reindeers bring Roland to the Pup Star stage. The reindeers are doing loop the loops, while going as fast as they can, just to be mean to Roland. My favorite character is Brody, because he is adventurous and he loves to eat, just like me. He also comes up with a bunch of crazy ideas that get him in trouble, but I don’t think he will ever learn. For example, in the beginning of the film Brody tries to eat both the turkey and the pumpkin pie. That really gets him into trouble. The message of this movie is that Christmas isn’t just about the gifts; it is about being with family. The pups show that throughout the entire film. I rate this film 3 out of 5 stars and recommend it for ages 3 to 18, because it is an amusing movie that shows the meaning of Christmas in a great way. I think adults will enjoy watching this film with their children. This movie will be available exclusively on Netflix on November 20, 2018 so look for it! On a snow-covered Christmas Eve, Little Nutbrown Hare and his friends stumble across a little Brown Bear who is lost. Determined to return their young friend back to his mother in time for Christmas, the friends venture bravely into the unknown woods. Through this epic journey we are reminded that the greatest gift of Christmas is being with the ones you love. KIDS FIRST! Film Critic Morgan B. comments, “I really love this film because it captures the Christmas spirit by showing us all the characters telling us what they think about Christmas. They show us that Christmas really means family.” Tina B., KIDS FIRST! Adult Juror adds, “The production values are outstanding, from the animation to the voice over talent to the background music. The images look like watercolors brought to life. I love them!” See their full reviews below. This film is based on the British book series written by Sam McBratney and illustrated by Anita Jeram, published in 1994 in the UK and in 1995 in the US. The book was an ALA Notable Children’s book and sold over 28 million copies worldwide! Now, I have an adorable special guest who helped review the film with me, Little Field Mouse. I really love this film because it captures the Christmas spirit by showing us all the characters telling us what they think about Christmas. They show us that Christmas really means family. It’s really about spending time with your family, not about giving gifts or any of that stuff. It’s spending time with your Mom and Dad and anyone else you love. That’s what I really respect about the film. I really love the characters in the story, especially my friend Little Field Mouse. Of course, Little Nutbrown Hare is my favorite character. He’s absolutely adorable and at the same time, kind and thoughtful. Just his love for everything around him makes me love him more. He’s kind of fun and silly, but really he is just adorable. I thoroughly enjoyed this short film and highly recommend it for kids and families. 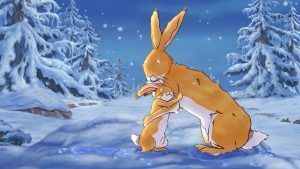 This is a heartwarming tale about Little Nutbrown Hare who wanders outside one night when he can’t sleep and discovers a rare, all white fawn dancing in the snow. He knows all white fawns are rare and when he talks to her she runs away. Through lots of escapades Little Nutbrown Hare finally is able to convince his forest friends the fawn is real and able to befriend the white fawn. The characters are interesting and charming. A field mouse and a squirrel friends are all friends with Little Nutbrown Hare and they interact with each other in the most loving way. I felt sorry for Little Nutbrown Hare when no one believes that he had seen the white fawn. Eventually, the truth comes out and they finally see her and believe Little Nutbrown Hare. The moral of this story is about love. The love between Little Nutbrown Hare and his dad, the love of friends and possibility of the love of strangers. The negative behaviors shown are about doubt, but that disappears over time. I particularly enjoyed seeing the field mouse trying to protect Little Nutbrown Hare by making a white fawn out of snow. He tries to protect his friend’s honor in doing so. The educational and social elements that make this film valuable emphasize the various ways that you can show someone how you love them. Adults often tell children that they love them and they can hear it in this story in a way they can relate to. The production values are outstanding, from the animation to the voice over talent to the background music. The images look like watercolors brought to life. I love them! I recommend this for ages 2 to 7 and give it 5 out of 5 stars. It uses vocabulary and ideas which little children can understand and enjoy. Questioning, probing and problem-solving are developed in a manner suitable for the target age. It is very enjoyable and charming. If you have a festival for preschool and early elementary kids, this will fit right in. 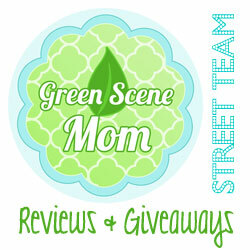 Reviewed by Tina B., KIDS FIRST! Adult Juror. 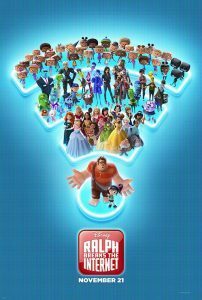 Ralph Breaks the Internet: An Astonishing New Film Filled with Humor and Excitement! Video game bad guy Ralph and fellow misfit Vanellope von Schweetz must risk it all by traveling to the World Wide Web in search of a replacement part to save Vanellope’s video game, “Sugar Rush.” In way over their heads, Ralph and Vanellope rely on the citizens of the internet — the netizens — to help navigate their way, including an entrepreneur named Yesss, who is the head algorithm and the heart and soul of trend-making site BuzzzTube. KIDS FIRST! Film Critic Abraham F. comments, “Ralph Breaks the Internet is a colorful, fun-filled adventure that builds on characters and friendships. Going into this movie I thought it was going to be a predictable and boring washed-up sequel. That is not the case.” Na’im S. adds, “Ralph Breaks the Internet is an astonishing new film that’s full humor and excitement.” See their full reviews below. Ralph Breaks the Internet is a colorful, fun-filled adventure that builds on characters and friendships. Going into this movie I thought it was going to be a predictable and boring washed-up sequel. That is not the case. The film builds upon the friendship that Ralph and Venellope have with each other. The climax of the movie is a heartwarming test of their friendship which brings light that friends don’t always need to agree on everything. Ralph Breaks the Internet is about Mr. Litwack installing the Internet to his arcade and his “Sugar Rush” game breaking, which leads to their adventure through the internet. Mr. Litwack orders the parts on eBay, but it costs $200 which is more than the game makes a year. Ralph and Venellope overhear him talking and decide to go on a quest to find the part and save Venellope’s game. They travel to the router and get transported to the magical world of the Internet. They awe at the vibrant colors and variety of the internet and go directly go to the search bar where they ask to go to eBay. When they realize they have to bid for the wheel, they bid the highest number they can think of, not realizing they have to pay. This causes them to go on an epic adventure to get $27,001 in under 24 hours or else the item would be re-bid. They find a pop-up ad that shows them how to make money playing video games. They decide to get a car owned by Shank. 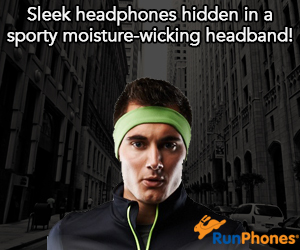 They race Shank until they get beat by her. She gives them a tip and tells Venellope she races well. The message of this movie is that, even if you are best friends with someone that doesn’t mean you can’t disagree. This movie has nothing be inappropriate for kids. I recommend it for ages 7 to 18 and give it 4.5 out of 5 stars. It is in theaters now so look for it. Ralph Breaks the Internet is an astonishing new film that’s full humor and excitement. It is about Ralph aka Wreck it Ralph who goes on a trip with his best friend Vanellope into the internet to buy a steering wheel for Vanellope’s game so it doesn’t get shut down. The internet is a whole new thing for Ralph and his friends and they walk into some trouble while trying to get the wheel. A few of the inconveniences they run into are not knowing where to go and also not having money. Before Ralph and Vanellope find out they need money, they place a bid of $27,000 on the steering wheel. When they get to check out and they don’t have money, the cashier says they have 24 hours before their bid expires. That’s when they embark on their journey through the internet. If you plan on bringing kids under 11 or 12, I strongly recommend that you watch the trailer with them and ask if they would want to see the full movie because there are a lot of puns about Twitter and a lot of jokes that I don’t think younger kids will get. I’m not saying that you shouldn’t bring younger kids, because they will still understand the majority of what’s happening and enjoy the film, but the director geared this film for older audiences such as 12 and above. I recommend this for ages 10 to 18, as well as adults. It seemed that the adults were laughing more than the kids during the movie. I give it 4 out of 5 stars because it is a hilarious movie that kept me interested for all two hours.